Khiev is referring to the dramatic behavioural change witnessed in the Srang Commune since the establishment of a UNICEF supported fund. The annual US$200 budget, allows Commune Councils to use the funds on a range of activities to improve maternal and newborn health, including awareness –raising, transportation and covering expenses for expectant mothers in emergency medical situations. One such mother to recently benefit from the UNICEF fund was 25-year-old, mother of three, Meas Pheap from Srang Commune. Pheap was identified by Village Volunteers early on in her pregnancy, who referred her to the Commune Focal Point for Women and Children. Pheap gave birth at home to her first two children, (now aged four and two) and paid 30,000 riel (US$7.50) to deliver each child. However, Pheap delivered her third child, a healthy baby boy named Mesa, 23 days ago at the Srang Health Centre. 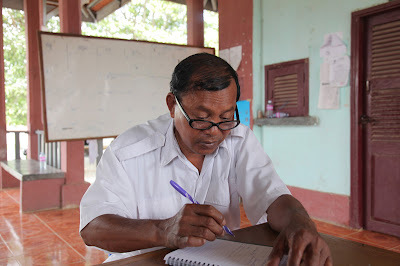 Meas Pheap, 25, who benefited from UNICEF commune fund. “I gave birth at the health centre because I was supported by Commune Focal Point for Women and Children. Staff at the health centre are more skilled and the centre has all the right equipment”, said Pheap. 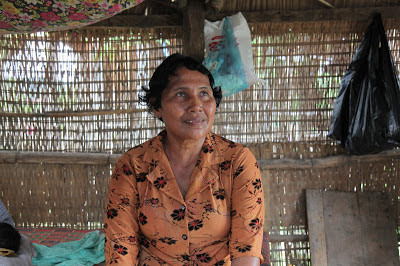 Pheap, who sews palm leaves to make roofs for houses and plants rice for other people in the village, was informed by the Commune Focal Point for Women and Children (CFPWC), Sok Norn, that she was eligible for commune assistance. Pheap, who worked right up until her delivery date, was given a lump sum of 80,000 riel (US$20). 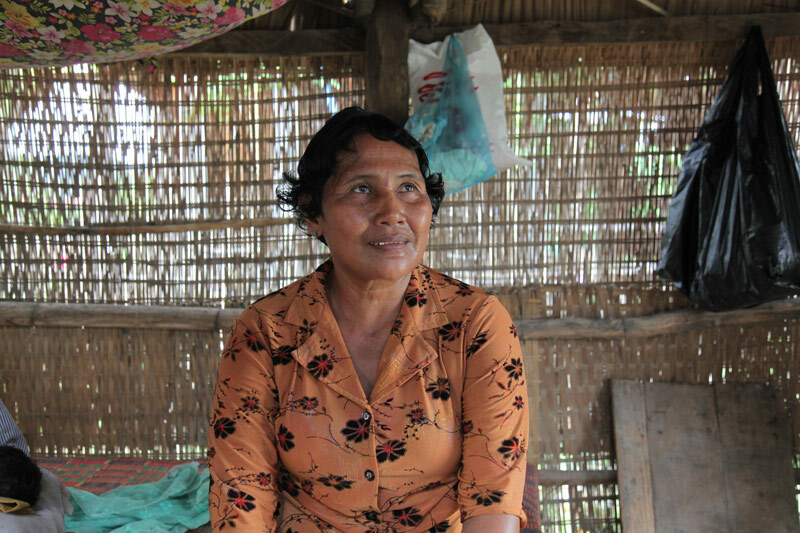 The money enabled her to make five pre-natal visits to the Srang Health Centre whilst pregnant. During her visit to the centre she undertook an ultra sound examination, given iron tablets, and received general pre-natal care. “The staff at the health centre checked my blood pressure and if it was low they’d advise me to eat more vegetables and if it was high they’d suggest I refrain from eating salty foods,” recalls Pheap. On the day of giving birth, Pheap used the funds to pay for a taxi to take her, and her husband to the health centre to safely deliver their baby. Three days after giving birth, Pheap was visited by Health Centre staff at home. In addition to receiving support from the CFPWC and health centre staff, Pheap used the remaining funds for basic food, household items and clothes for the new-born. Mesa, 23 days old, sleeps at home. However, Pheap is not the only mother in Srang Commune to have benefitted from the UNICEF emergency fund for marginalised mothers. “To date, we have supported 18 extremely poor women in the commune to deliver their babies at the health centre,” remarked Sok Norn. After receiving the funds, expectant mothers collaborate with health volunteers, health centre staff and the Commune Focal Point for Women and Children. As a result, the health centre noticed more women delivering their babies at the centre. Sok Norn, Commune Focal Point for Women and Children. It was not until 2008, when a shift in commune priorities towards improving maternal and new-born health, triggered change. Funding from Korea and Australia (among others) is helping UNICEF to support 282 communes in Cambodia to work with village chiefs, volunteers, and health workers to identify and support vulnerable expectant mothers. With support from UNICEF, communes co-ordinated with village chiefs and health focal persons to raise awareness about the benefits of giving birth at a health centre and warned of the hazards of delivering at home. Despite awareness raising and outreach, and improved coordination between communes and the health centre, change came only after villagers began seeing demonstrable success at the health centre. Young women were giving birth to healthy babies, and receiving medicine to ensure they were in good health before, during and after birth. On numerous occasions, the Srang Health Centre facilitated transport for expectant mothers facing medical emergencies to better care at provincial hospitals, and word filtered back to the village that the health centre was the safest place to give birth.